If you’ve ever thought you might be good at making your boat go faster than other boats, here’s your chance to find out. 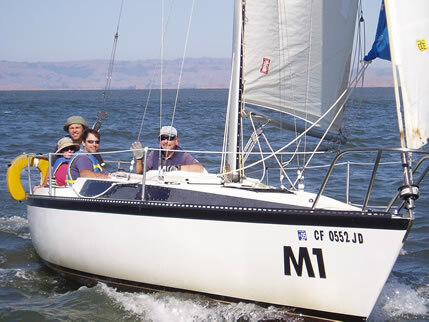 Racing .50 is a short two hour course that covers some of the basics of sailboat racing. Racing .50 is taught entirely in a classroom setting using visual aids such as white board diagrams and model boats. Find out why you might never recover from a bad start and how to avoid a race ending start. This course will also look at some of the components of a race. You may be surprised at how many little things you can do to improve the outcome of a race. The Blue Pacific Yachting Racing Team will be formed from graduates of Sailing .50, along with other sailors. Join the team!